We think about dust and odor a lot. Some may say those are odd things to be so passionate about, but we wouldn’t have it any other way. We think about dust and odor more so you can think about it less. In our own small way, we feel we are helping out – making jobs easier and lives better. And we feel good about the equipment we sell. It’s built like a tank and does the job. Our first units sold are still running more than a decade later. We are Team Boss. With our narrow focus, we are able to provide that personalized customer service we think is necessary for odor and dust suppression. We are an excitable bunch. We get excited about the various industries we work with – from demolition to sugar beet processing. Our customers are smart, resourceful people, and we marvel at their ingenuity. At BossTek, safety is a priority. Our team members are OSHA and MSHA certified, trained for industry-leading, on-site customer service. We love visiting their sites and learning more about how we can help. And nothing is more satisfying than when we are told we made a difference. 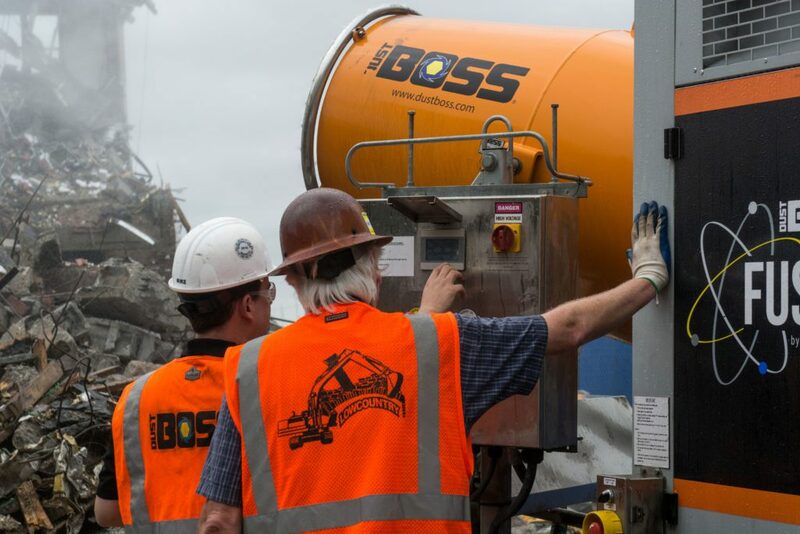 At BossTek, we are dedicated to providing premium, customer-oriented solutions that create safer, more productive work environments. Lighten the load, make it happen, make it matter, make it right, stretch yourself. A portion of our profits go to Casa Hogar Orphanage in Mexico and the Wana Wa Mola Mission in Kenya. We are also proud partners of Surfers Healing, a non-profit organization dedicated to enriching the lives of people living with autism by exposing them to the unique experience of surfing. Whether in the office or out in the field, safety is not only a priority, it's a responsibility! Our team is OSHA and MSHA trained and certified. We understand that following the rules can save lives and pride ourselves on always putting safety first.